Don’t have time to write or manage your company blog? We specialise in writing and promoting engaging, high quality blog content that people love to share, comment on and link to. With our blog writing and management services, you can focus on running your business while we develop, promote and grow your blog for you. Our blog management service involves coming up with a content marketing strategy for your blog, brainstorming content ideas, writing engaging long-form content and promoting your content to your company’s target customer and influencer audience. You’ll generate more traffic, earn more links and media mentions, attract new customers and become an important authority website in your industry, all thanks to the LinkBaits team building and managing your blog for you. We offer a range of blog management services, from low-volume blogging packages for growing businesses to fully managed blogging and promotion services for growing companies and industry leaders. Whether you’re interested in two blog posts per month or 200 posts per month, we’re here to manage your blog and achieve your content marketing goals. Detailed “How-To” and “Ultimate Guide” blog writing and promotion to attract authoritative links to your website and establish your business as a leader in its industry. Linkbait and “Top 10” writing and promotion on popular social communities like Reddit, generating valuable traffic and social exposure for your brand. Blog management and maintenance, from keeping WordPress plugins and extensions up to date, to managing comments on your company’s blog content. Ongoing blog promotion to establish your company as an informational leader in its industry, strengthening your brand and increasing inbound traffic. We offer ad hoc blog management and ongoing services. No matter what your company wants to achieve, our team has the combination of industry experience, marketing knowledge and resources to ensure your blog is a massive success. Why use our blog writing and management services? Is your company blog beginning to look a little neglected? Does your company not have a blog at all? Research shows that Google rewards websites that have a constant supply of fresh, engaging content posted on a regular basis with higher search engine rankings and more traffic. Finally, keeping your blog updated and relevant with detailed, helpful content brings in a huge volume of traffic and potential customers from social networks, industry forums, reader referrals and more. The right blog content can put your business in front of hundreds of thousands of potential customers, clients and highly motivated influencers. The more frequently your blog is updated with relevant content, the more exposure you’ll receive from Google and other search engines. 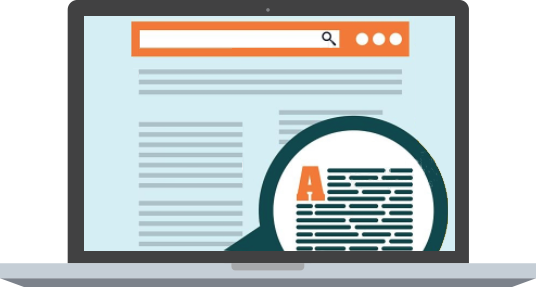 Fresh blog content also lets you target a greater range of long tail search keywords through targeted, highly specific and optimized blog posts. Our blog management service lets you build, develop and promote your blog passively. We’ll take care of everything from content creation to promotion, letting you grow your company blog into a serious online authority while you focus on running your business. Whether you sell a product or service, we can brainstorm creative and engaging blog post ideas that set your brand apart from the competition. We have a dedicated creative team that specialises in coming up with creative, engaging blog post ideas that make your website an authoritative source of great information. You let us know your marketing goals and objectives, as well as the key messages you’d like your brand to represent. Our team of experienced copywriters and journalists will get to work preparing a list of blog post ideas to help you achieve your content marketing goals. Once you’ve approved our blog post ideas, we’ll establish an editorial calendar with each of your posts queued up to be published on schedule. That’s everything! We’ll write, publish and promote your content following your editorial calendar while you focus on running your business, allowing you to passively achieve your content marketing goals. On average, you’ll spend less than 15 minutes per month on your company blog. We’ll work around the clock in the background to brainstorm, strategise and create amazing blog content that sets your company apart as an authority in its industry. We’ll then promote it directly to your target audience, helping you generate measurable results. Without the right promotion, it’s unlikely your blog will attract the attention of your target audience. That’s why our dedicated online promotion team works around the clock to ensure your blog content gets the attention it deserves on social communities like Reddit and StumbleUpon. As part of our blog management process, we’ll strategise the best promotional techniques for getting your blog content in front of the people most likely to read it, respond to it and share it with their friends and colleagues. Our goal isn’t just to fill your blog with fresh content, but to create a non-stop marketing asset that promotes your business, establishes your brand as a reliable authority and continually generates traffic, leads and sales. We offer a variety of online marketing packages, from one-off viral content pieces to ongoing blog management services. Contact us using the online query form on the right side of this page and our dedicated team will get in touch within 48 hours to discuss your project and formulate a strategy to make your blog a success.